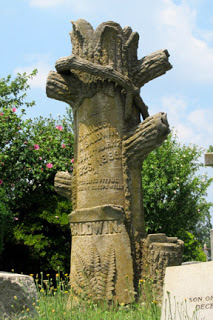 Did you ever walk through a graveyard and come across a headstone carved to look like a tree stump? These show that the deceased was a member of the Woodmen of the World fraternal society. The Woodmen and their competing predecessors, the Modern Woodmen of America, were just a couple of the many fraternal insurance organizations that formed in the years after the Civil War. Death was everywhere in 19th-century America: Fatal injuries, disease epidemics, and the Civil War made families acutely aware of mortality. For women and children, the death of a husband and father could tumble them into poverty. Only the wealthiest Americans bought private life insurance. Women were not allowed to take out policies on their husbands, and if the husband bought the policy on himself, the money wouldn't be protected from creditors. The middle and working classes did, however, have a workaround. 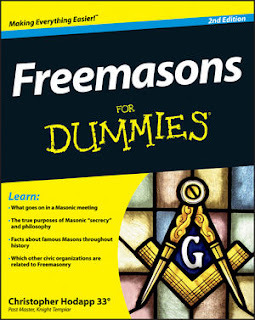 Men could join secretive boys' clubs like the Freemasons and Oddfellows that provided networking, entertainment, and a moral education. 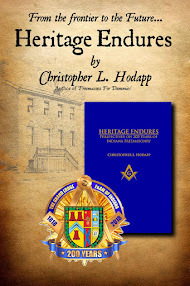 If a man proved himself to be hardworking and of good character through his initiation trials, his social standing meant his family could quietly receive financial support from the lodge without the stigma of accepting charity. After the devastating Civil War, well-established fraternal orders began to formalize their benefits into insurance subsidiaries. New secret societies known as "mutual beneficiary societies," created with the explicit purpose of offering life insurance policies, sprang up around the United States. Largely excluded from the original fraternal orders, women and African-Americans even launched their own aid societies. Still, to join any fraternal order and receive its insurance benefits, you had to prove that you were no slouch — a hard worker with high morals such as thrift, self-reliance, discipline, and generosity. But fraternal orders weren’t all about restraint. Before the days of TV, radio, or fantasy football, fraternal lodges offered plays, rituals, and camaraderie, and allowed men to let loose, which kept members coming back for more. The clout of being an insider and the endless pursuit of mystical, esoteric knowledge ensured that men would make their insurance payments for decades to come. The Woodmen came late to the party — incorporating in 1883 as the Modern Woodmen of America—but their leaders' entrepreneurial innovations breathed new life into the fraternal insurance game. Founder Joseph Cullen Root, a businessman in Lyons, Iowa, seized the opportunity to create his own fraternal order when the mutual aid society Knights of Honor, which almost went under because of the 1878 Yellow Fever epidemic, was selling its local lodge. After an internal dispute with the other Modern Woodmen of America leaders, Root left the organization in 1890 and moved to Omaha to form a nearly identical "speculative woodcraft" order: the Woodmen of the World. One of his innovations was to provide free tombstones—Root believed passionately that no member of his order should be buried in an unmarked grave. So for 10 years, the Woodmen gave its members grave markers in the shape of tree stumps, inspired by the Victorian Rustic movement. (For another two decades, the members put down $100 apiece to reserve theirs.) At a Woodman's funeral, his personalized tombstone would be revealed in an elaborate ritual. The 4- or 5-foot-tall tree stump would be marked with the motto “Dum Tacet Clamet” (“Though Silent, He Speaks”) and rest on a stack of logs, each log symbolizing one of the deceased’s children. The local stone carver, who might alter the pattern, would add embellishments reflecting the Woodman's personality, such as axes and doves. In the 2002 movie "About Schmidt", Jack Nicholson plays the character Warren Schmidt, who is retiring from The Woodmen of America Life Insurance Company. Nicholson filmed his scenes at the company's actual offices and was given a plaque making him an honorary Woodmen member. My great great grandfather has the Woodmen of the World memorial on his grave stone and he was born in Germany in 1869 and immigrated to the USA in 1890 at age 21 and he died young 44 in 1913 same as Joseph Cullen Root.